If you work in and around Residency Road (we are looking at you St. Mark's Road, Richmond Town and Lavelle Road folks), chances are you would have seen or even heard about Devatha Plaza. 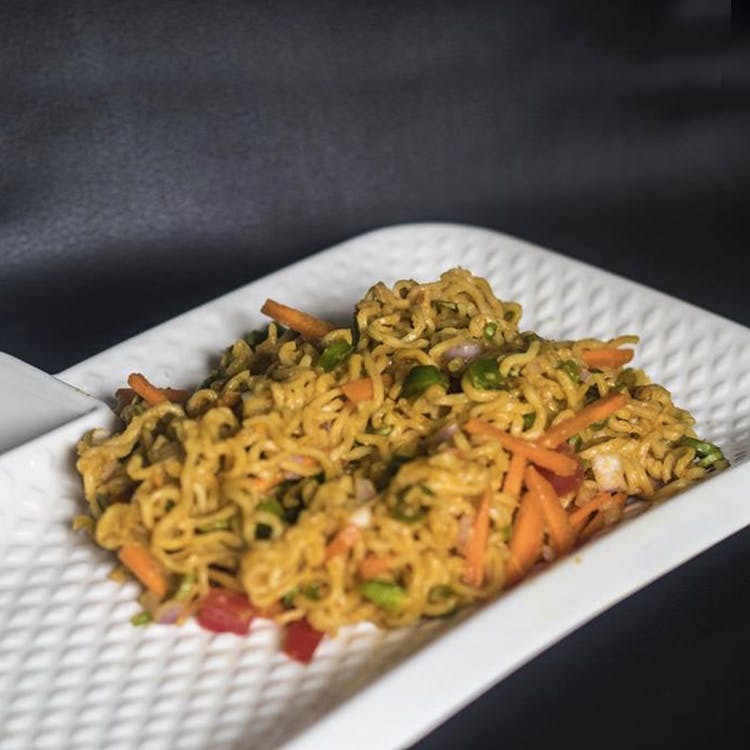 It's home to Harima, Fos Lighting and a host of budget restaurants that will fix you up with a meal come lunch, dinner or even when you need some 4 pm snacks. Perfect for quick North Indian combo meals, Platter will fix you up with a la carte options of favourites such as rajma chawal, dal makhani, and roti and naan. Their combos include roti sabzi and poori bhaji and are under INR 130. Seating is minimal here and but the service is pretty quick. Peak hours are between 12:30 pm and 2:30 pm. This is our regular spot for dosa chicken and chicken fried rice with chilli chicken. The menu is interesting since they serve everything from chicken steak to Thai Curry along with a host of Chindian regulars. Although nowhere close to being authentic, the food will leave you satisfied and barely scratch your bank account. The dosa costs you INR 80 and the fried rice combo INR 125. There's a butter chicken combo too if you are interested. Seating is basic and peak hours are between 12:30 pm and 2:30 pm with a slew of delivery orders going out. The Chindian menu is high on the grease factor and combos. All the rice and noodles combos are served with a chilli garlic gravy with our personal favourite being the Schezwan Chicken Fried for INR 170. It's spicy and can easily serve two. There's also a host of starters such as Kung Pao Chicken and Gobi Manchurian that are apparently hot sellers. When you need a solid cup of chai with a side of samosa or Maggi, Ramji will fix you up with their varieties of tea. It's also the fanciest amongst the restaurants in the list for the fact that it's got proper seating, bright lights, and WiFi too. Stick to the chai-samosa or chai-tea cake combo are your 4 pm hunger pangs will be taken care of. If you are craving some dosa, idli or even a South Indian meal, you can get all of that here under INR 100. They serve breakfast too and come evenings, especially around 5 pm, they set up a bhajji stall and serve onion and potato pakodas, aloo bondas, vadas and raw banana fritters. Known for their quick fix sandwiches and a host of fresh fruit juices, you can order a grilled cheese sandwich and a filling butter-fruit shake for lunch. They do fruit bowls and healthy salads too, if you are on a diet or have a habit of munching on snacks between work. Apart from the classic vada pav, you can snack on options like Mixed Veg Vada Pav and Schezwan Vada Pav at this popular snack joint. They are priced between INR 30 and INR 60 and there's a bunch of combo options that comes with fries and a soft drink as well.